Refugee footballer Hakeem al-Araibi made a triumphant return to Australia Tuesday, ending a two month ordeal that saw him jailed in Thailand and threatened with forced return to his native Bahrain. 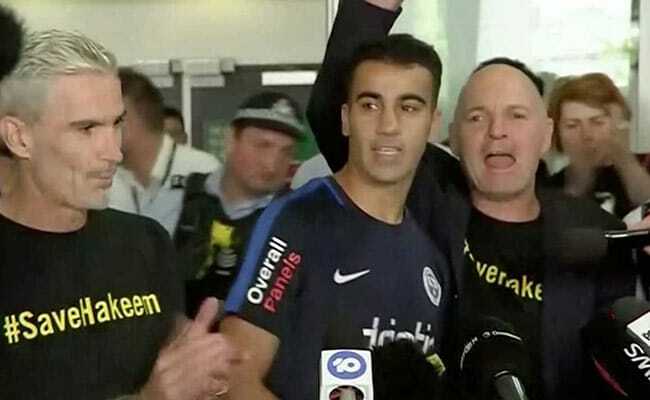 A throng of well wishers decked in #SAVEHAKEEM T-shirts cheered and sang the football anthem "You'll Never Walk Alone" as they greeted the 25-year-old defender at Melbourne Airport, after an overnight flight to freedom aboard Thai Airways flight 465. "I want to thank Australia" said a smiling Araibi "this is my country".